Great Halloween Decorating Ideas - Easy and fun to do! Halloween is a fun-filled time of year and is enjoyed by people of all ages. Good news…these great Halloween decorating ideas are easy to assemble! Give this pumpkin a ghostly message in a few minutes with some glue, a jar of black buttons, and an elegant bow. 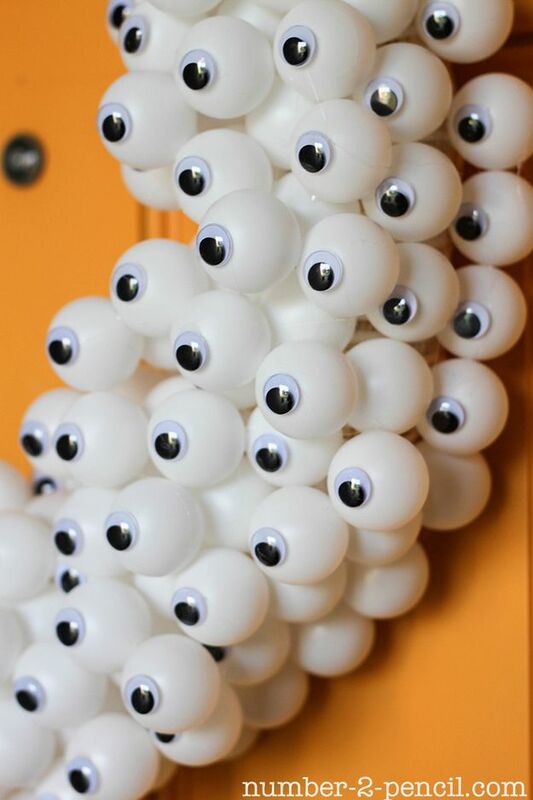 Hot glue googly eyes to ping pong balls, then hot glue to a foam or straw wreath. A Halloween Skeleton at the Spa!! 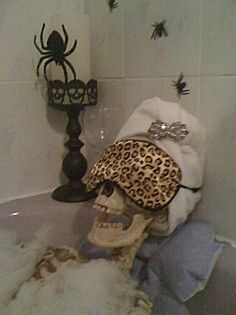 Halloween Party – fill the tub with bubbles, set a skeleton to relax. The spiders, eye mask & turban add the perfect touch! A Retirement Expense that Continues to Rise ~ Plan Ahead!